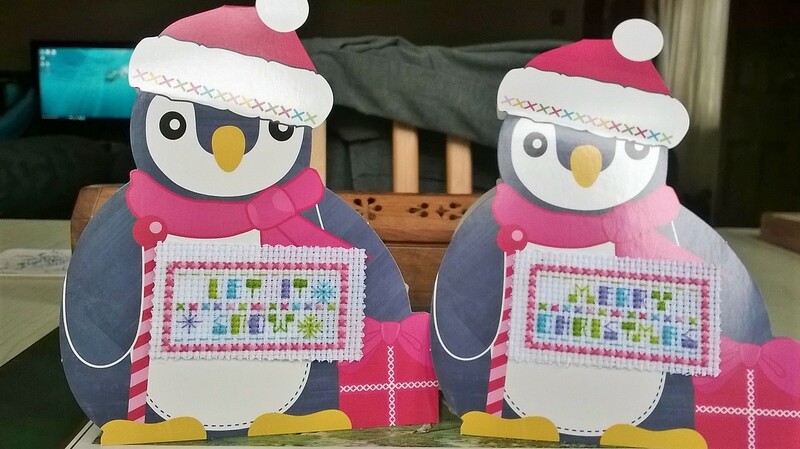 Every year, I start my Christmas stitching before Summer is even over, and every year my non-stitchy friends make fun of me for thinking about it so early. I’m the sort of person that likes to plan everything months in advance so I never have to feel rushed or stressed, and if that means stitching snowy village churches and reindeer in August, so be it. I’ve had a bit of a blank space in my sewing calendar to fill recently anyway, since I ran out of thread for my Skyscape and I have no commissions right now while costume season is pretty much done until Halloween, with the exception of EGX Birmingham. So, I made the decision to start on my first Christmas projects of the year. I started very small though! 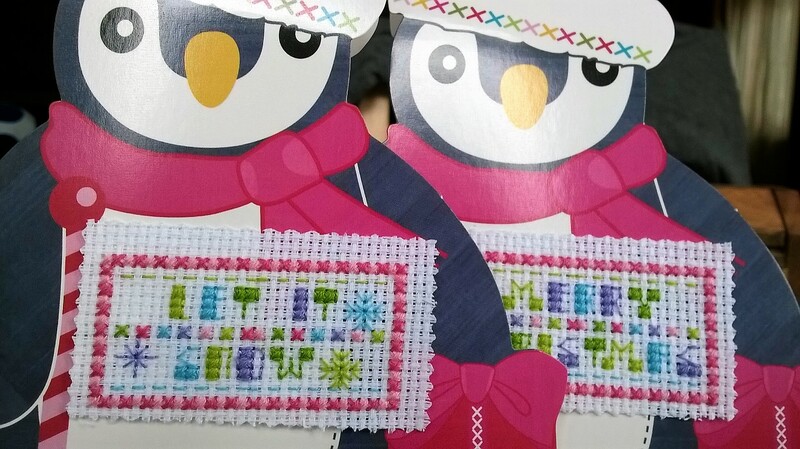 A few gift tags, which I won’t even bother to photograph until there’s a whole stack and a couple of cover kits from last year that have been hanging around in the stash bag. I absolutely adore these guys; just look at the little colour co-ordinated cross stitch on their hats! And only they take about half an hour or so each to stitch, I wish I could just mass produce these this year, but I suppose that would be cheating. Anyhow, Classic Embroidery have, as promised, sent me some additional silver thread so i can get back to work on Skyscape before my next round of festive preparations. A+ for customer service, I am very impressed!